Yesterday was my 48th birthday and we celebrated with a family BBQ. 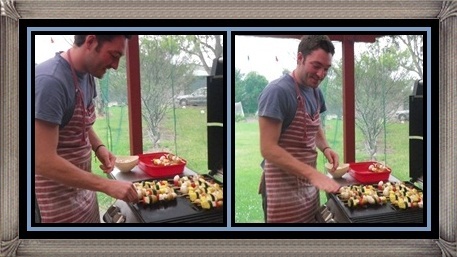 Royce cooked up a storm, with Haylee's help in preparation. Haylee baked me a gluten and lactose free chocolate Mousse cake but had a little mishap so we had chocolate moosh with ice cream (sorbet for me) and raspberries. My dear friend Andrea dropped over briefly before dinner with this gorgeous bunch of Lillies. They smell amazing. 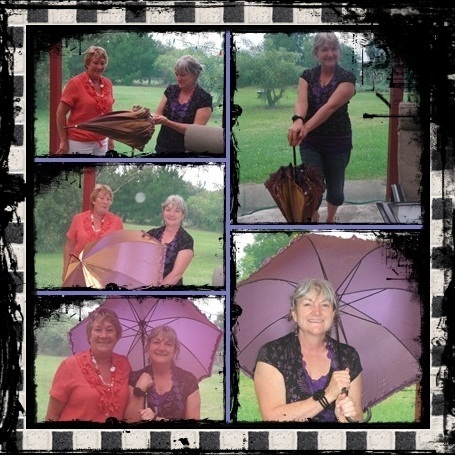 My sister & her partner Steven bought me this beautiful shot purple & gold brolly. I just love it, its sooooo me. As soon as Davina saw it she knew she had to buy it for me. after dinner we played poker rummy which is a game that Johns grandparents made up, a combination of poker and Jin rummy. His grandfather even made a fabulous board to play it on. And today I had a very relaxing 1 1/2 hour Ella Bache facial - which was my chrissy pressie from work. I hope you had a very happy birthday GAil. Love the umbrella! 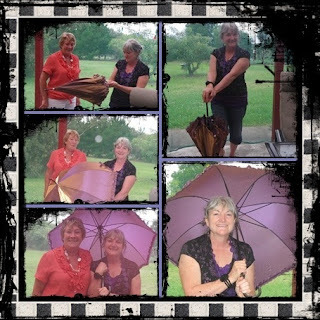 I am glad you enjoyed your special day and I am sure that umbrella will get a workout in all this rain. Happy Birthday for Wednesday, Gail - it seems that you had a great time. Thank you for sharing the pics. Hugs from Donna in Brisbane.